SACRAMENTO, CA--(Marketwired - Jun 17, 2015) - Patients with demanding careers and busy schedules typically have little opportunity for downtime, making surgical fat reduction procedures difficult to undergo, reveals Sacramento plastic surgeon Charles Perry, MD. Fortunately, he says that individuals who are seeking a non-surgical solution to stubborn pockets of fatty tissue may benefit from trying CoolSculpting®, an advanced technique that uses cold energy to break down fat non-invasively. Liposuction is designed to enhance body contour by eliminating fat in a targeted area, Dr. Perry explains. This method can be an excellent way to sculpt numerous areas of the body, he adds. He says that CoolSculpting® can also target fatty deposits in the stomach, hips, thighs, back, and other regions where this tissue tends to accumulate. Though both modalities are intended to reduce fatty tissue, he indicates that there are many differences that can help to determine which option will best suit a patient's needs and goals, and CoolSculpting® offers a new way to reduce fat without an extended recovery. Liposuction, Dr. Perry explains, typically offers greater control and nearly immediate results; however, as a surgical procedure liposuction will require about a week of downtime. CoolSculpting®, he contrasts, gradually reduces the total amount of fat in an area and takes approximately one hour in an office -- depending on the number of areas to be treated -- and patients usually can return to normal activity immediately following the treatment. He also notes that DualSculpting, which utilizes two CoolSculpting® devices at once, can halve the treatment time if there are multiple areas of concern. Ultimately, Dr. Perry hopes that by explaining the benefits of and differences between liposuction and CoolSculpting®, patients will have a better understanding of available fat reduction methods. He believes that by being well informed, individuals can make the best decision for their needs and goals, leading to greater satisfaction with the outcome. He also recommends patients seek a board-certified plastic surgeon that offers a comprehensive array of options to optimize their safety and experience. 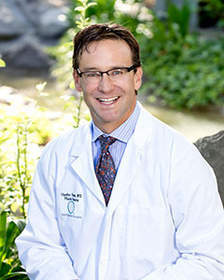 Dr. Perry, a board certified plastic surgeon, received his undergraduate degree from University of Puget Sound followed by his medical degree from the University of Washington Medical School. He then completed additional training at Maricopa County Medical Center, the University of Arizona, and the University of Massachusetts before opening his solo practice in Sacramento, California. A recipient of several awards, he is also a Fellow of the American College of Surgeons and an active member of the American Society of Plastic Surgeons. Dr. Perry is available for interview upon request.